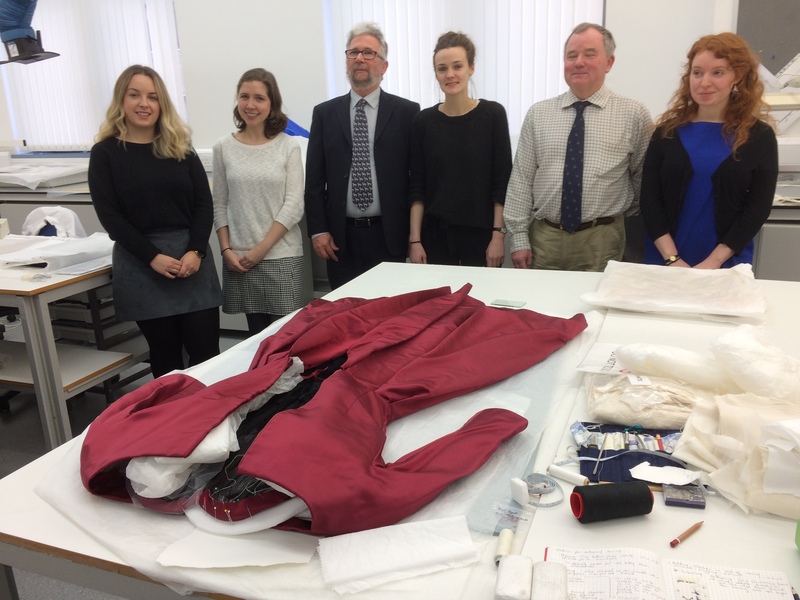 Following our annual student presentations in London, this year held at the Wallace Collection, two trustees, Dr Campbell Norman-Smith and Paul Tear MBE travelled north to the Centre for Textile Conservation and Technical Art History (CTC) in Glasgow. The Fellowship has supported students from CTC over a number of years and this is the second year that the trustees have visited an institution rather than the students come to the trustees. We were meet by Professor Frances Lennard, Director of CTC and were then given a tour of the facilities, where we met the students who were to present. Jenifer Brunton (MLitt Technical Art History), Laura Garcia Vendrenne (CTC), Daisy Graham (CTC), Rebecca Doonan (CTC). The students later gave interesting and enlightened presentations of their placements abroad, followed by a question and answer session on various aspects of their placements. They answered confidently and with an enthusiasm that made it clear to us that they had all enjoyed their placements and learnt a great deal.